Finding time for fitness, family fun and a chance to relax can be a challenge. In Family Yoga classes, they are all rolled into one. Child-centered and built for fun, this unique style class creates a space where families can connect with each other and their community. Parents participate right along with the kids. Families will find support for a healthier lifestyle and get to enjoy a holistic family-centered activity. Whether you teach in a studio or in homes (including your own), this course will give you the specialized tools and confidence needed to facilitate a practice for groups of varying ages, interests and abilities. The specialized techniques needed to engage students who range in age from 5 to 15, along with their parents, uncles, grandmas, step-moms and neighbors - who may or may not have any experience with Yoga. Partner poses that work for both similar sized and different sized partners. Plus, how to partner up families of 3 or 5. Poses that adults can hold longer and that are brought to life with sound and movement for children - so both stay engaged. Special partner massage techniques just for families. Perfect to use at the end of class and for families to learn to use at home. Family dynamics and communication styles. 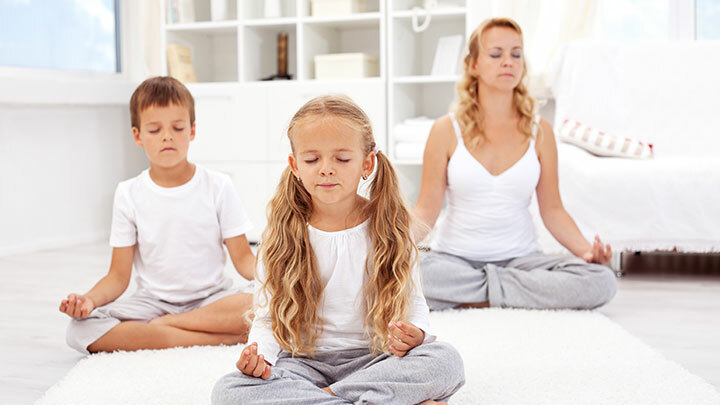 Ways to educate families about living a Yoga lifestyle. Three Workshop Videos that you can watch right on the website and download. Family & Group Dynamics + Principles of Instruction for Family Yoga Classes + Family Yoga Class Plan Structure. Watch Mira teaching the Family Yoga Vacation lesson plan. These videos show you what partner Yoga and Thai bodywork look like in a Family Yoga class as well as warm-ups, games, and relaxation. Download the Family Yoga Vacation lesson with all the elements in the video along with additional features for a longer class. Plus you will get a second, comprehensive lesson plan full of Hawaiian mythology. Find out the ideal length, size, and location for classes along with how to price and promote the class.